I met Finlay through friends I regularly go mountain biking with, he explained that he had done lots of driving with his parents up in Edinburgh but currently was at college in Galashiels at the moment studying mountain biking. We discussed that if he got his theory test done then we could probably look at bringing everything together for him and hopefully sit his driving tests in Edinburgh during one of his college breaks. Finlay kept practising when back in Edinburgh and used some of the videos on my website to add to his knowledge. We began driving lessons early this year and Finlay had a lot of skills that we could build on quickly. after looping around some of the more tricky areas of Edinburgh we started to very quickly progress. 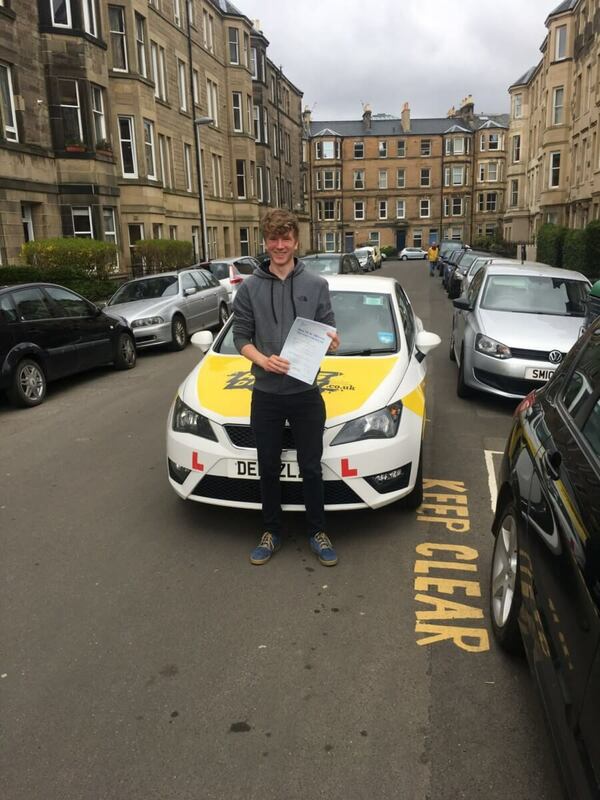 We managed to line up a driving test that suited Finlay and his college course which he passed effortlessly on the day. He now had the challenge of trying to sort out a car to drive for his mountain biking adventures.